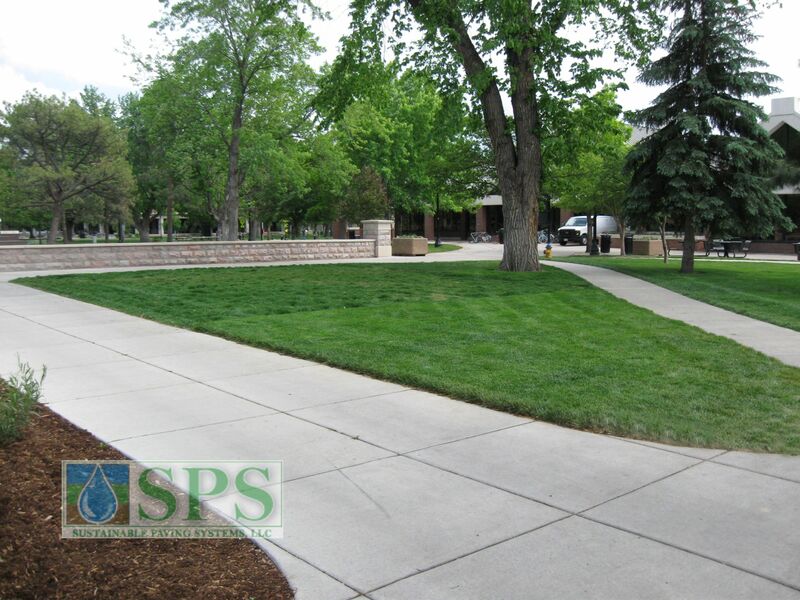 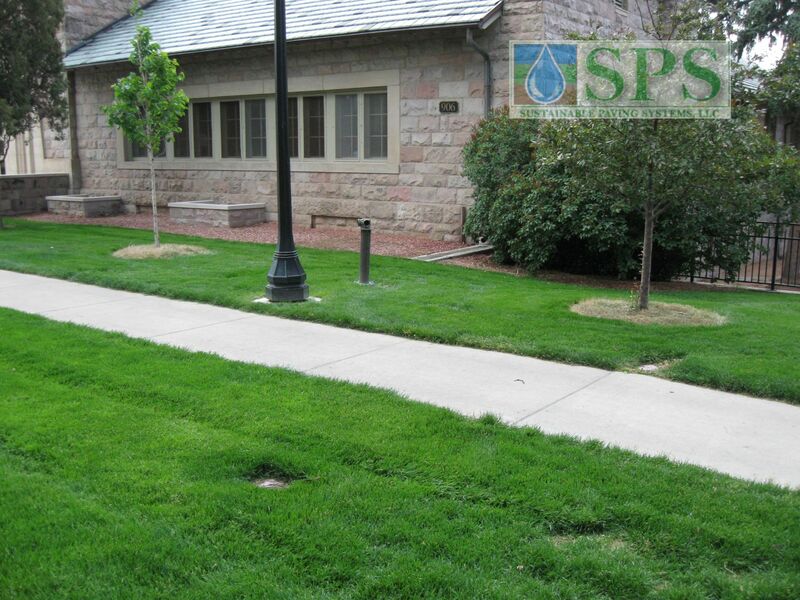 Colorado College located in Colorado Springs wanted to maintain the grassed areas adjacent to large trees while providing access to a fire hydrant set back from the roadway. 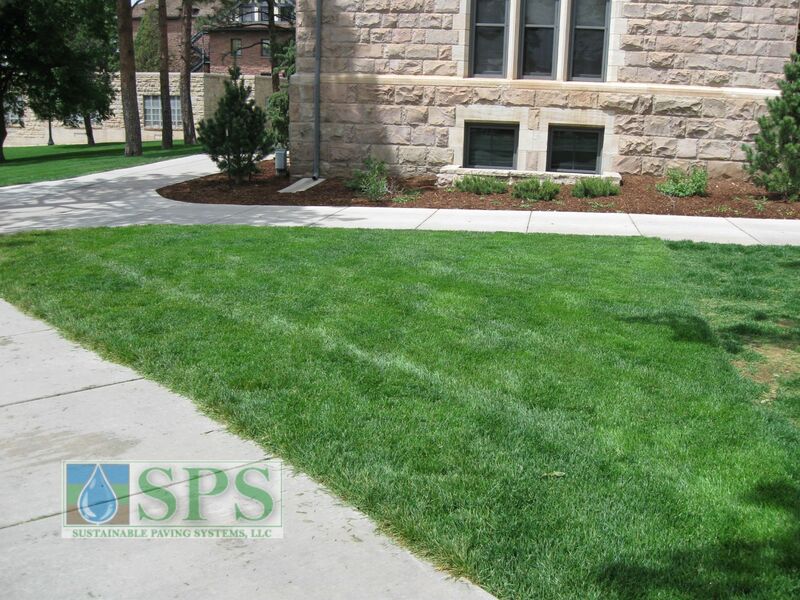 Grasscrete was chosen and installed by certified Bomanite Contractor, Premier Concrete Services. 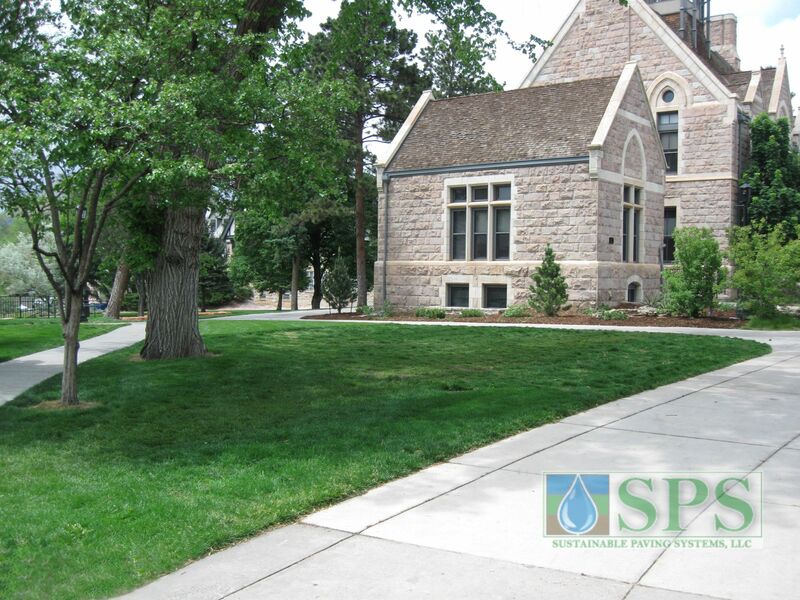 Grasscrete Molded Pulp Formers were utilized for this project providing sustainability with their 100% recycled content and ability to degrade over time into the sub-soils. 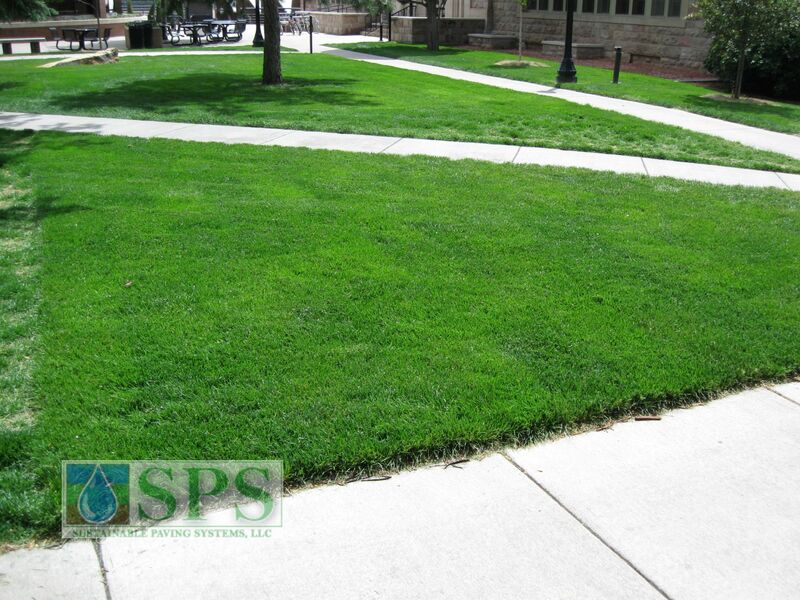 The combination of concrete, steel and aggregate interlock ensures that Grasscrete can bear isolated loads such as downriggers placed in an emergency situation with no support blocks, The robustness of the system minimizes the potential for failure during critical use.